Ryrie wrote the first edition of this book in 1965 and it has gone through several editions since then. The bulk of it is also reproduced in his Basic Theology. In rereading the book (an easy read of 120 pages) I was encouraged by the orthodox presentation of what can be a very controversial doctrine. I had also forgotten what a vital tool a good dispensational approach to Pneumatology is to the church. Many of the ancient errors in this field have faded away, but we have as many and more of our own errors today. The (so-called) three waves of the Holy Spirit in the twentieth century brought great charismatic confusion, and now other errors are being added to these including massive revivals centered around erroneous manifestations of the Spirit and the spirit world. Without a solid understanding of the working of the Spirit in the age of grace, we will fall prey to some of these errors. 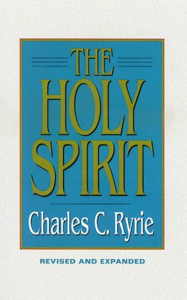 Ryrie’s book needs to be resurrected in the church.